Leaking oil through your drain plug? Here is the fix! I noticed oil spots in my parking space one day and was worried that I had a serious problem. 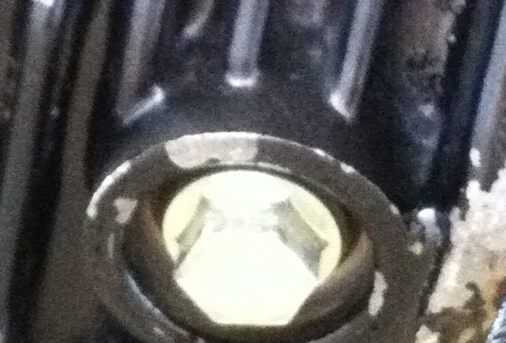 I was told by one mechanic that my oil pump was leaking and needed to be replaced. Several automotive friends of mine told me not to worry because “Vanagons leak oil.” I couldn’t figure out why a car would simply leak oil for no reason, and that mechanics would not be worried about it, or offer a fix. As it turns out they were all wrong. Oil was leaking through the drain plug, but it didn’t have to. After weeks of relying on other opinions I finally found a guy who had a suggestion. He said, “use a fiber washer.” We changed the oil and used a fiber gasket instead of a plastic or metal washer, and the oil leak is gone. I have no spots in my parking space and it’s been over a year. Problem solved. 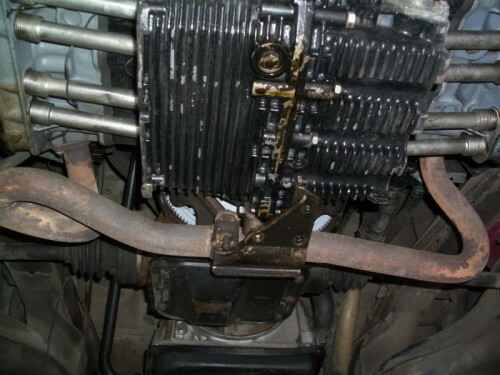 This is a picture of a TDI conversion, but I haven’t seen a website that details exactly what it is. What caught my eye was the carpet around the engine compartment. I need to dump that stock mat and carpet that entire area. It looks great! 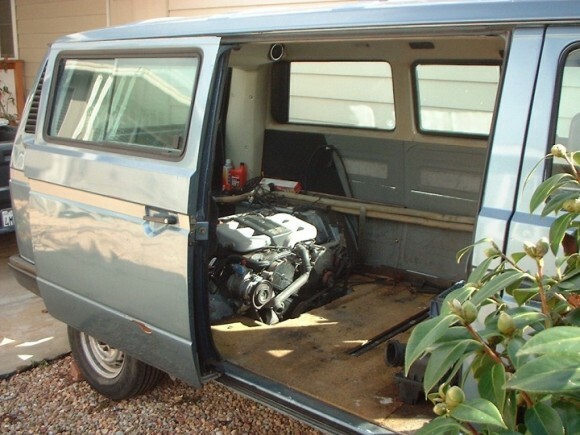 We all know the Vanagon is ripe for an engine swap. We have seen engines from Subarus, Jettas, and even Fords dumped in a Vanagon. 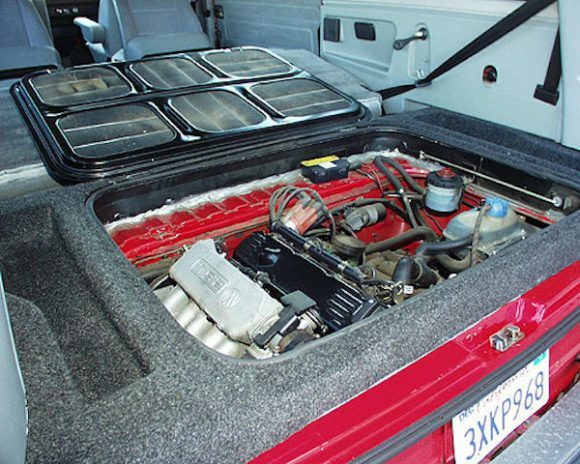 But what about a Chrysler 3.5L V6 from a 1994 Eagle Vision? That would be insanity right? Over at the Grassroots Motorsports forum, a user named Thummmper is doing exactly that. He has posted pictures of his attempt to install a very large engine under the rear seat of his Vanagon. This project is very close to insanity, but if he pulls it off he is THE MAN! Click through to see more. 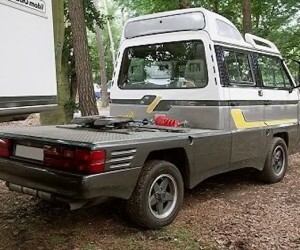 This 1990 Syncro has clean as a whistle. 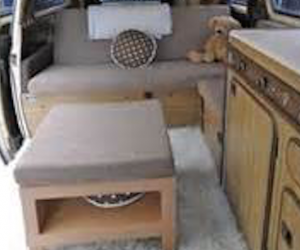 This Vanagon has had three owners and is still clean. A 1.8T engine (by Audi) has been installed giving it 30 more horsepower than the stock Volkswagen engine. Add the South African 15” Wheels with 215/75R15 BF Goodrich All-Terrain tires, Eurospec front brake kit, and a 2-inch lift kit and you’ve got yourself a beauty. Click through to see a few more photos. If you have an auxiliary battery in your Vanagon you may want to beef up your alternator wiring harness. GoWesty sells an alternator wiring harness upgrade kit for $40 that will upgrade the entire harness. 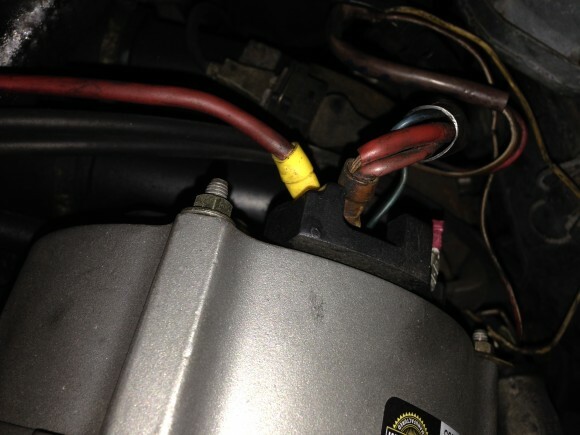 It consists of the wire that goes from the alternator to the starter, the field wire, and the wire that goes to the fuel injectors. It’s a nice upgrade, but we decided to do a partial upgrade ourselves for kicks. Click through to see how we did it. 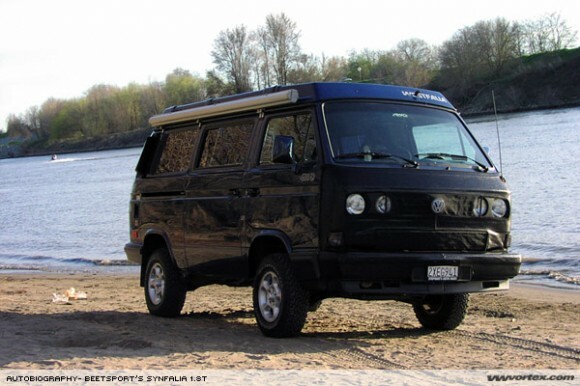 This is an awesome Vanagon Subaru conversion. Jealous? The interior is clean as a whistle with new, matching upholstery. The exterior looks equally as clean. I love the blacked out wheels with the color to match.